ACTICOAT is a range of dressings that utilize the antimicrobial properties of silver to provide an efficient and effective barrier to bacterial penetration. Flexible, absorbent and conformable, each ACTICOAT variant is developed with properties specific to its required use. 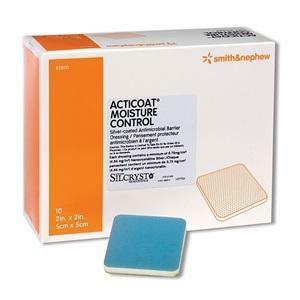 With ACTICOAT, the prevention and treatment of infection starts rapidly and continues to work.